I dubbed me in on top of a couple of the Boarding house Wednesday night tracks. Studio time is hard to get - but should give you an idea of what I can do. I feel its workable, but I have a lot to learn. 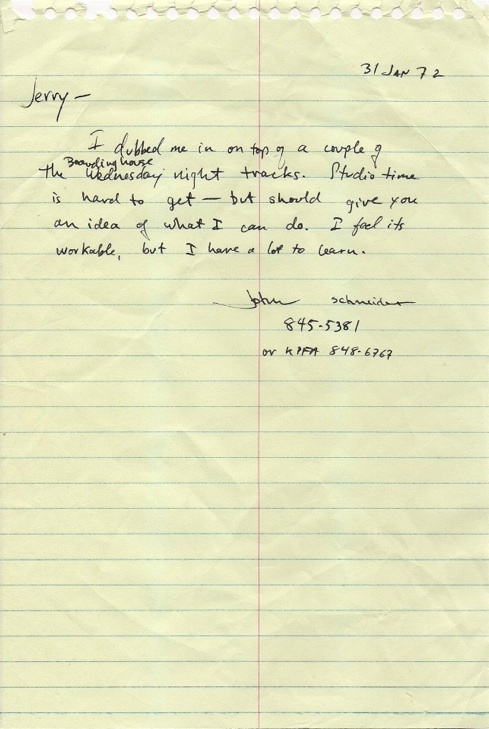 We have contacted John and he does recall giving the letter and tape to Jerry. The tape was also in the case but has since been misplaced.